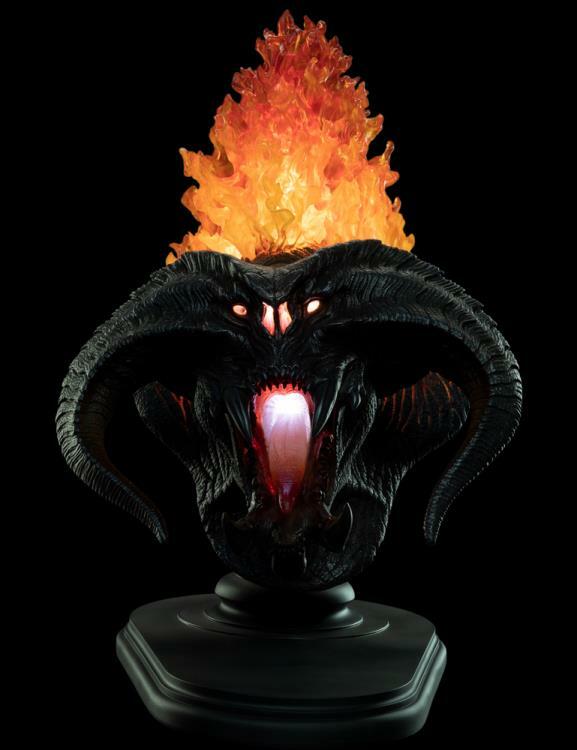 Far beneath the ground, tunnelling for Mithril in sunless black rock, the Dwarves disturbed something that had remained safely entombed since ages past, a being of unfathomable terror, relic of a time of gods and giants, a creature of which the like should never walk again in Middle-earth and for whom there were few equals remaining in the world, a Balrog of Morgoth. 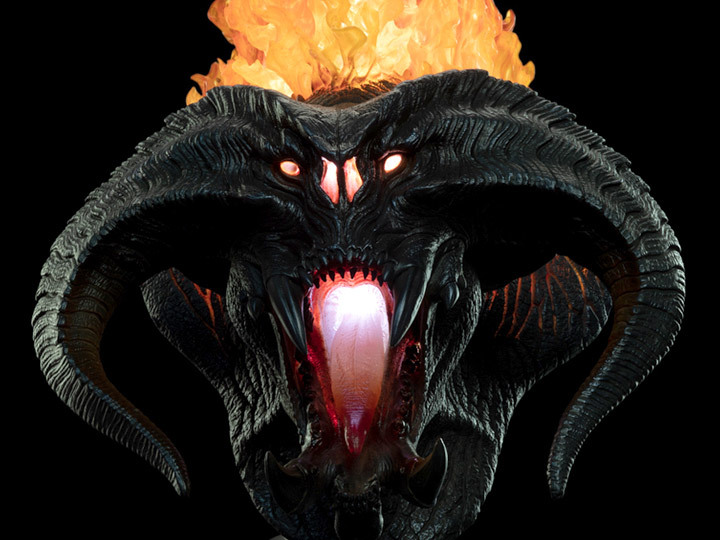 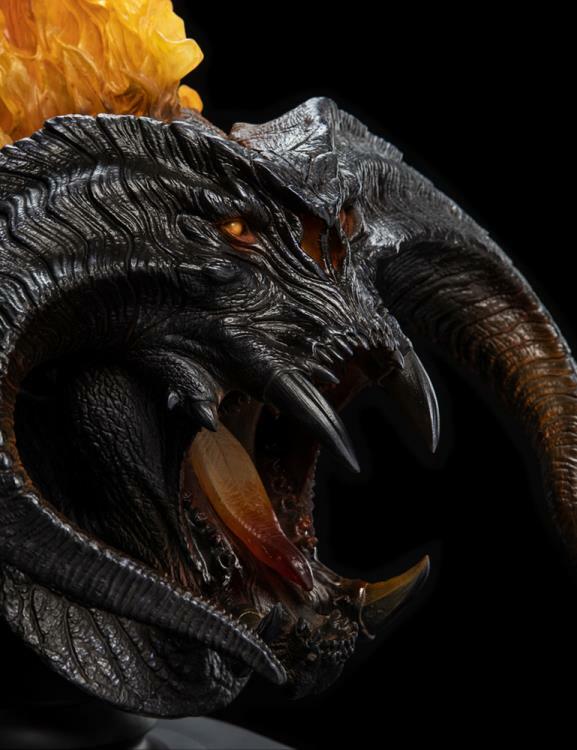 A demon composed of shadow and flame, the Balrog could be harmed by no blade or device of Dwarf design. By the hundreds, Durin’s people and the Dwarf King himself fell before the beast, after named Durin’s Bane. 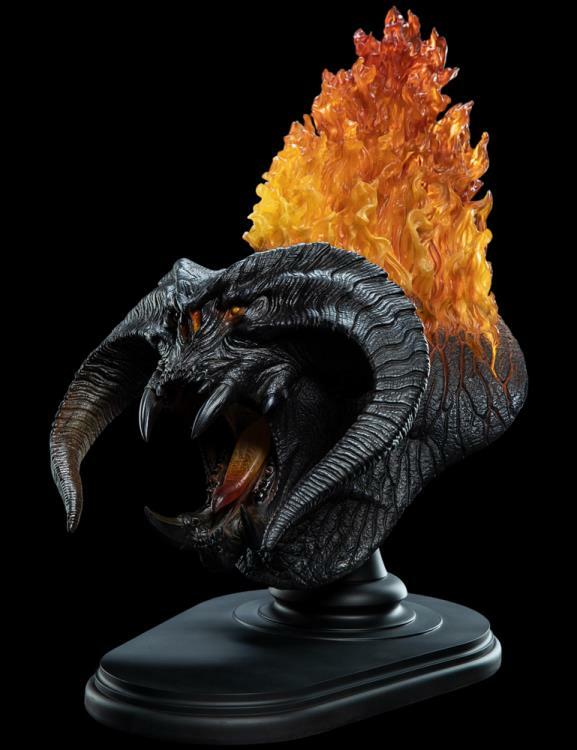 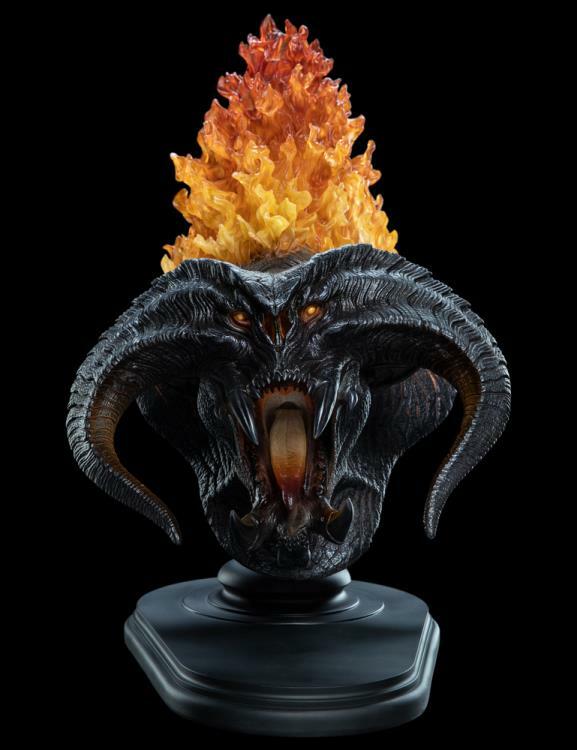 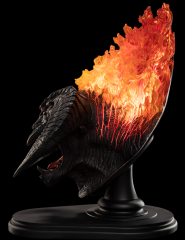 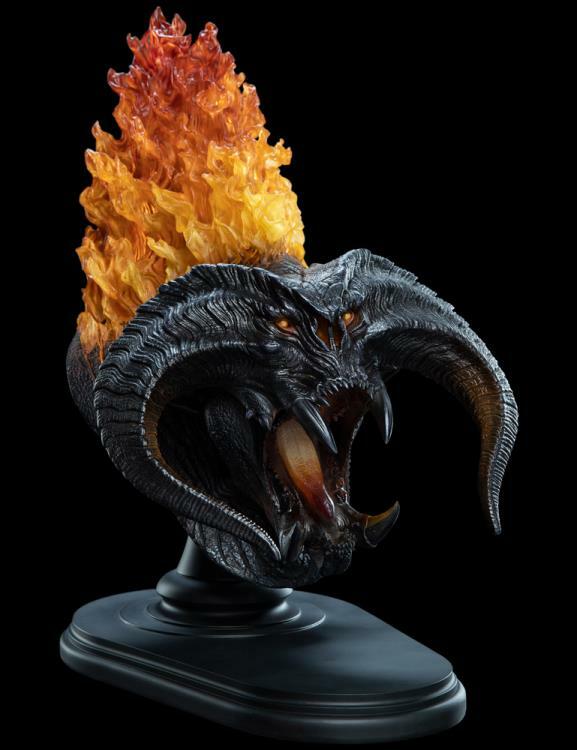 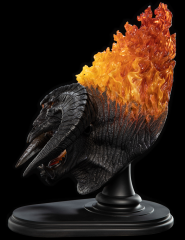 This Limited Edition bust of 666 pieces is made from high-quality polystone and resin, and features unique LED lighting to create an illuminated flame effect. 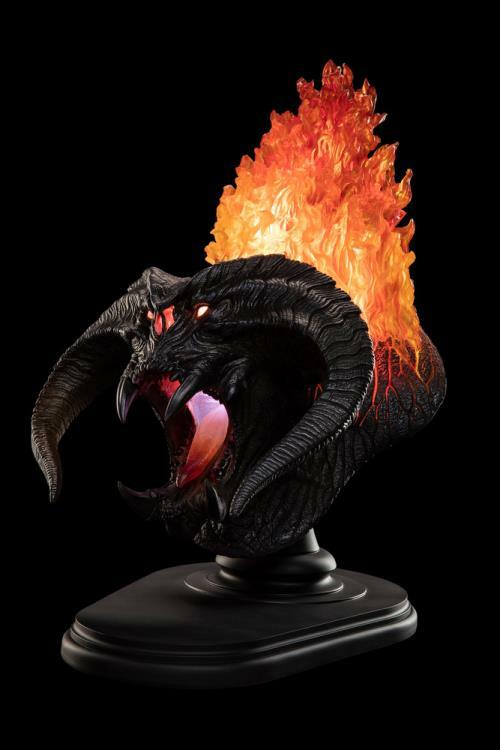 Set your Balrog ablaze using the accompanying power adaptor.